Fishing is one of the most popular attractions at Fort Myers. Most of the people who come here for vacation, try out fishing with their friends or family. The south-west coast of Florida is famous for fishes like trout, mackerel, redfish and snook. One can easily find these fishes. 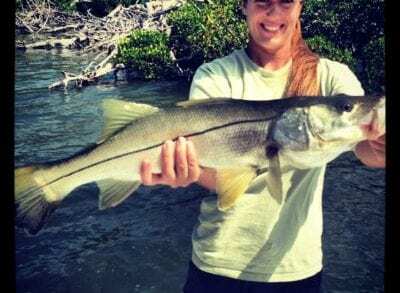 There are private charters operating from the Fort Myers island where you can get the booking done for a group of 4-6, few months in advance to avoid any kind of last minute harassment. 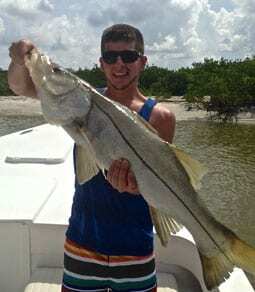 Fort Myers fishing trips are very adventurous and exciting for kids as well as adults. The charters are built big enough to accommodate 6 people easily. Each of these charters have T-shaped shades to protect you from the basking sun and heat when you go for fishing in the morning. Most of the charters are equipped with safety items, baits and fishing equipment, the boarders are only asked to bring in hats, sunglasses, dry food and drinking water to avoid any kind of discomfort during the trip. Trips can be booked as half day or full day trips. The fishing guides will help and guide you properly during the Fort Myers fishing trips. They will help you find some good catch from the sea and you can learn a lot about these places. 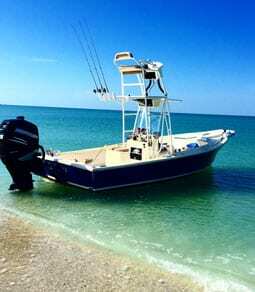 The 24 foot Morgan boats are perfect to make any fishing trip memorable and fun. These boats are designed to move properly in shallow water, so you can also do some sightseeing while fishing. The clear blue water and the calm environment is a treat for the eyes and soul. Once you are done with fishing, you can enjoy some seafood delicacies in the restaurants situated here and spend some time in sightseeing or shelling trips. The place, Fort Myers, is a wonderful place to spend some time in the natural habitat surrounded by the lovely sand, forest and the sea.